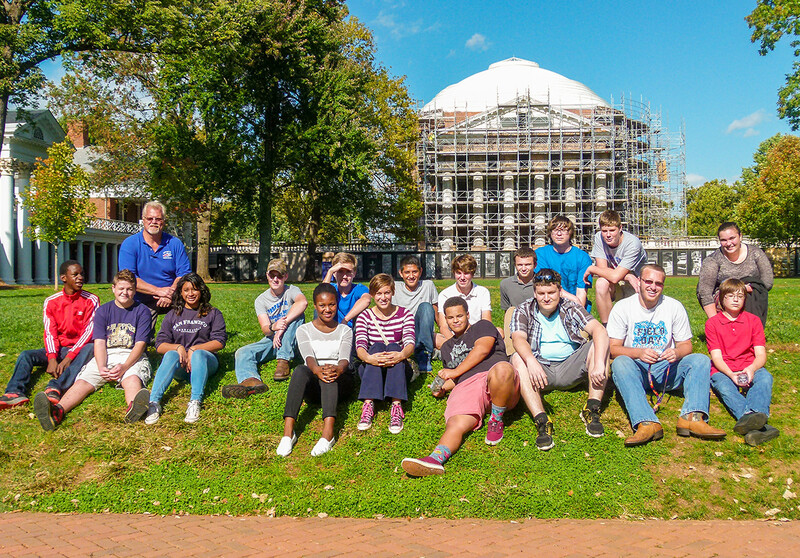 On Tuesday, October 12th, the 9th and 10th grade class traveled to the University of Virginia to visit the Biology Department. While there, the students met with Assistant Professor of Biology, Benjamen Blackman. The students learned about his ongoing research with sunflowers. It has been discovered that sunflowers are able to follow the sunlight during the day due to the growth of one side of the stalk and then re-orient to face the east during the night due to growth on the opposite side of the stalk. God’s creations never stop to amaze! We then met with the Professor of Biology, Jay Hirsh. Professor Hirsh is working with fruit flies. Due to the neurological similarities between the fruit flies brain and human brains and the similar dopamine levels, it is hoped that one day this research will lead to a cure for Parkinson’s. The trip to UVA concluded with a tour of the campus including the historic Lawn and Rotunda. Following our time at UVA, the next leg of our journey took us to Montebello, Va. to visit Camp Blue Ridge for our monthly community service project. 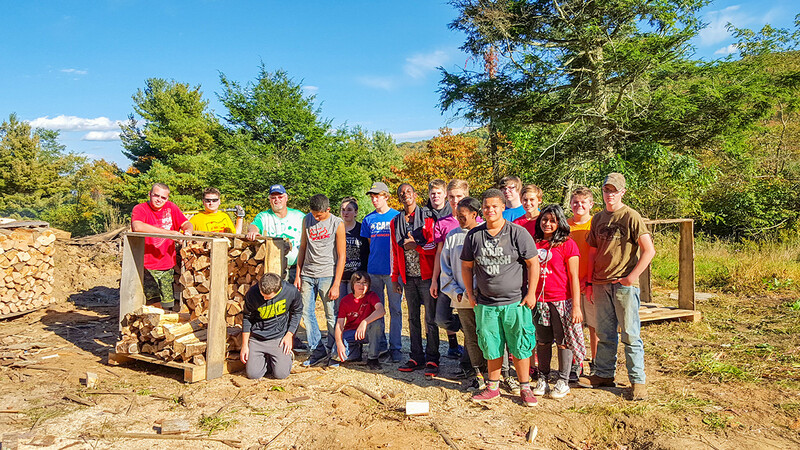 In addition to community service tasks of raking leaves, as well as cutting, splitting, and stacking wood, the students enjoyed games of ultimate disc, ping-pong, and bean-boozled.